Sensory play includes any activity that stimulates your young child’s senses: touch, smell, taste, sight and hearing. *taken from the PBS website. Sensory in a bottle encompasses touch, sight and hearing. 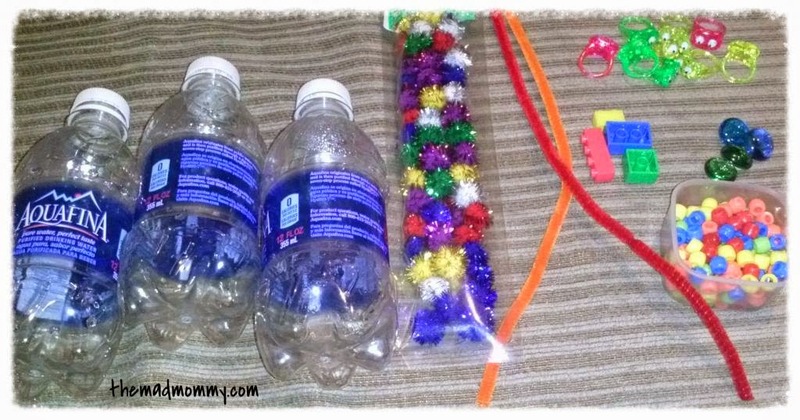 Sensory bottles are often used as a quiet play time activity, but they can also be effective skill building tools. My son has used sensory bottles very successfully in the past. As a child on the Autism spectrum, it is often hard for him to relax and calm down. We used this as a Calming Bottle. He would carry this bottle in his backpack and when he needed to take a “sensory break” or time out, he would use this. He would shake it hard, sit and watch the glitter until it all settled at the bottom. It was a very effective calming tool for him. This is a very simple bottle. We used a small water bottle, water, green food coloring and green glitter. (His favorite color is green!) Put them all together in the bottle and then seal the top. We have used hot glue and super glue. Both hold up well! 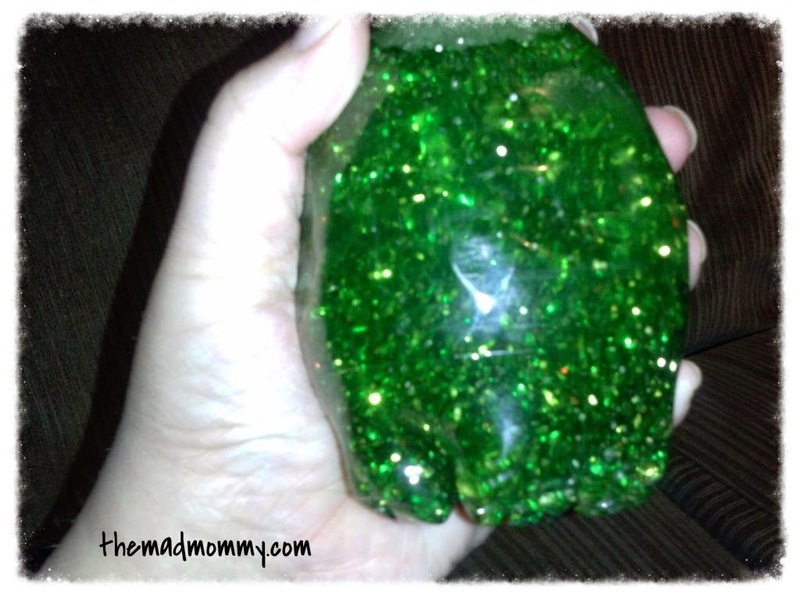 Sensory in a Bottle is a fun activity to include your kids in! Help them assemble the bottles. Let them pick what goes in them. You can use just about ANYTHING! Here are a few that we put together to show you. I will show you step by step (in picture) how we assembled them. These are awesome for quiet time activities, but they can also be used for other things. You could put in items and use the as an I-Spy game, leave out the water and make rattles, add oil and make waves. The possibilities of what can go inside are endless and as simple as what you have in your craft or junk drawer! Each sensory bottle takes on a life of it’s own. They all become so different! Just remember, get your kids involved and HAVE FUN! These bottles are so much fun for kids! Sensory bottles are too cool! I never did make them with Reagan when I got a chance to stay home with her so I love that she is getting to do this kind of thing in preschool! So much fun!! Great idea! these are very cool! I'd have to make sure that cap couldn't possibly come off, my son would try anything to get it open. He's that kind of kid. Always taking things apart to see how they work. Thanks for sharing on the Learn Through Play Hop! I am so happy you posted a step by step on how to create these. My sister and I tried to make them a few weeks ago and failed miserably! We didn't add oil 🙁 I will be trying this again soon! SO cool! I wonder if these would be safe to use while in the car, or if they'd be a hazard if I got in a wreck and it were like a flying object. Okay I'm off course, but my boys would love these!! Gotta try these, thanks for sharing! So where's the oil come in? I know I could watch that glitter bottle for some time too :). These look really cool! I've seen so many sensory bottles/boxes lately and one of these days I will get around to making one for my kids! It is a great way to introduce shapes and items! That's the best part! You don't have to go buy anything extra! 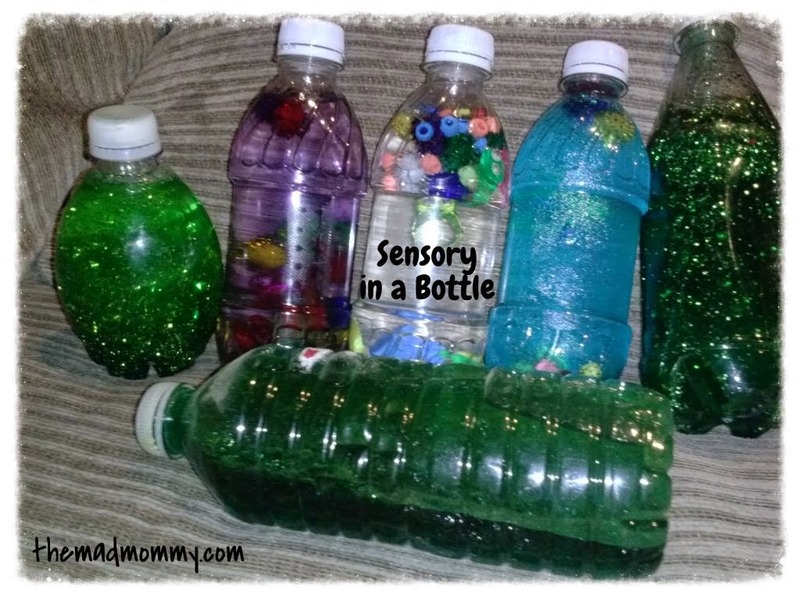 Sensory bottles are a great project to do together! My 8 year old loves to make them. Hot glue or super glue seal them really well! We have a few that have been around for years. You don't have to use oil. Just make sure you have a good mix of floating and sinking objects. They are fun on trip, but yeah, having them thrown at your head is not fun! The oil is good for making wave bottles or bubbles. These are incredible for kids, and is it weird that I wouldn't mind a calming bottle of my own? These bottles look great! I can't wait to make them with my oldest for him to share with his baby brother. Wow…those are so cool! I am definitely going to make some with my kids. And I might even make my own! Thank you so much for sharing! I love this series! Have a great week! These look great and turned out nicely! great work! I used to make things like that for my preschool class all the time. The kids love all that stuff. I like making I Spy bottles with rice or sand and lots of little items. I love this idea for a time out…sorry son, you're not allowed to move until all the glitter settles! They are so much fun to make! You can even let them help and pick out stuff to put inside! The glitter calming bottles are fun to watch! I like them too! My kids absolutely adore these bottles! That will be an awesome activity for him to do for his little brother! Older kids like them too! I had a lot of fun making them myself, LOL! Rice, sand and pasta work great for i spy bottles! Right! Let them calm down that way instead of waiting for a timer! Misdirection and distraction, LOL! Sounds like a nice craft to do with my kids this summer. We will start saving water bottles! I'd forgotten about these!! Thanks! We did this before! But we used beads! Really inexpensive the the kids love them! It is a great craft! They are so much fun, aren't they?! Thanks Meredith! I hope you try it this summer! We used beads too! Kids love the simplest things sometimes! Definitely important to seal them! We've made the glitter bottles, but I bet an I Spy bottle would be a GREAT thing to pull out on our road trip next month! These turned out great Echo! I'm going to have to give these another try when Nicholas gets a little older! Maybe then he won't just get angry that he can't get the stuff out lol. Very cool! Thanks for hosting and sharing on Whatever Wednesday at Thank You Honey! Hope to see you again next week! My kids love sensory bottles. I gave them as gifts for Christmas. Hello from Lou Lou Girls Fabulous Party. I spy bottles are a lot of fun! You can make a find it list to go with it too! Thanks Sarah! I'll be there! For sure! They are a big hit with my son, especially once he hit about 4 or 5. What a fabulous idea for Christmas gifts! These are pretty cool. I've seen them with the glitter before, but I like your different items that you listed. It's so easy too … we've got to make a few more. I love kid's stuff!! Especially DiY. Thanks for sharing and for hosting a link up. Love it!! I love adding different items! It makes them look so visually appealing! DIY is a lot of fun! Personalizing stuff is the best! I want to thank you very much for linking up @ Teach Me Tuesday @ 3GLOL. I sure hope you'll stop back by this week – http://3glol.net/2014/06/09/teach-tuesday-3glol-7/. Oh! I didn't write a post about it, but recently I threw some black beans in a water bottle and my son shakes it like a maraca. 🙂 Thanks so much for sharing this one with us too at Creative Style Linkup! Aww, Thank you so much Kim! That means a lot to me! How fun! Kids love making noise! Thank you for hosting such a great party, Bobbie! I love this idea, great for the kids. I wanted to let you know that I am featuring this post today on Tuesday's with a Twist today on my blog, come by and take a look. 🙂 Thanks again and have a blessed day. We just wanted to let you know that you have been featured in this week's Thrifty Thursday link up party. We would love to have you come join us this week and share another great idea! Thanks for sharing your project! This is awesome, Echo. Actually, we don't do much sensory stuff, but with the toddler, I am going to try this. Just with keeping him busy while I am teaching the olders. I love how you said it keeps your son calm. I think it's really wonderful that you have taken the time to find what works. Thanks so much for linking-up this post on the #homeschoollinkup! I appreciated the feature so much! Thank you! My son loves these because he can shake them as hard as he wants! Sensory play is so great! It really gets kids ready for processing daily life. Thank you so much, Cassie! I am beyond honored! 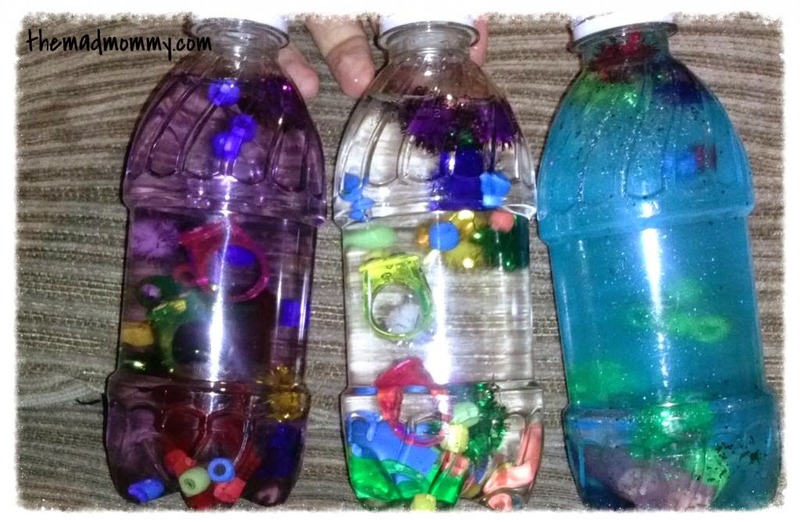 Sensory bottles are wonderful for toddlers! You can also do themed bottles to teach colors and such! Each so different! 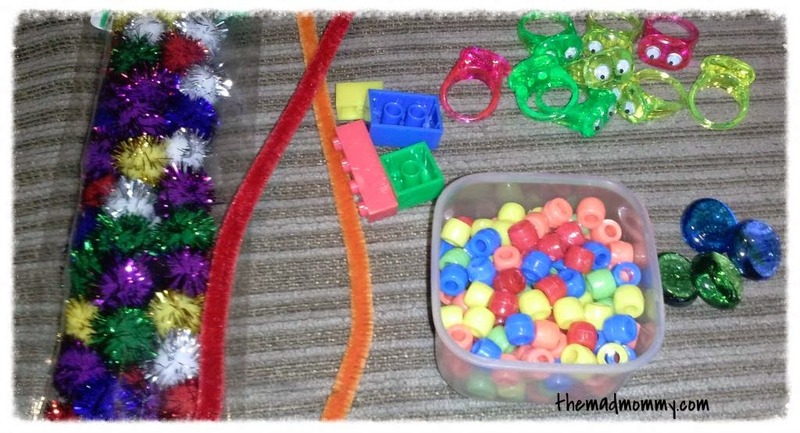 So far we have calm down bottles….but I have ABC beads I've been wanting to use in a sensory bottle! Awesome idea and great way to use up those empty water bottles. Thanks for linking up to the Craft Challenge. We had a lot of fun making them and the kids still use them all the time! 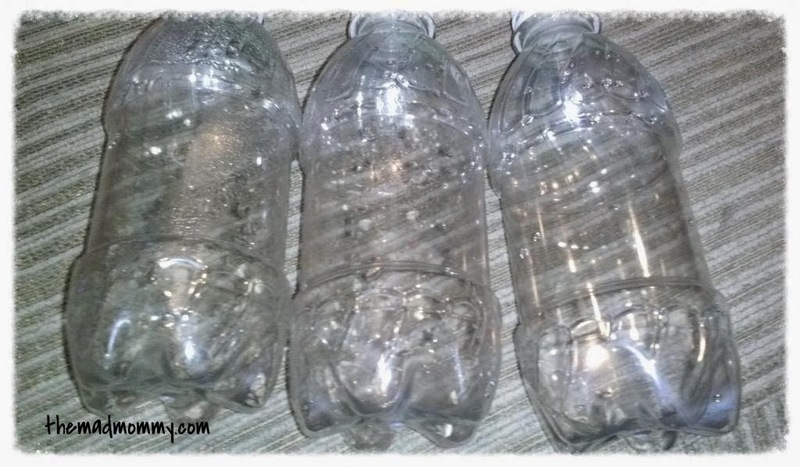 I love the idea of sensory bottles and love the fact that you can reuse old bottles instead of tossing them with the trash! 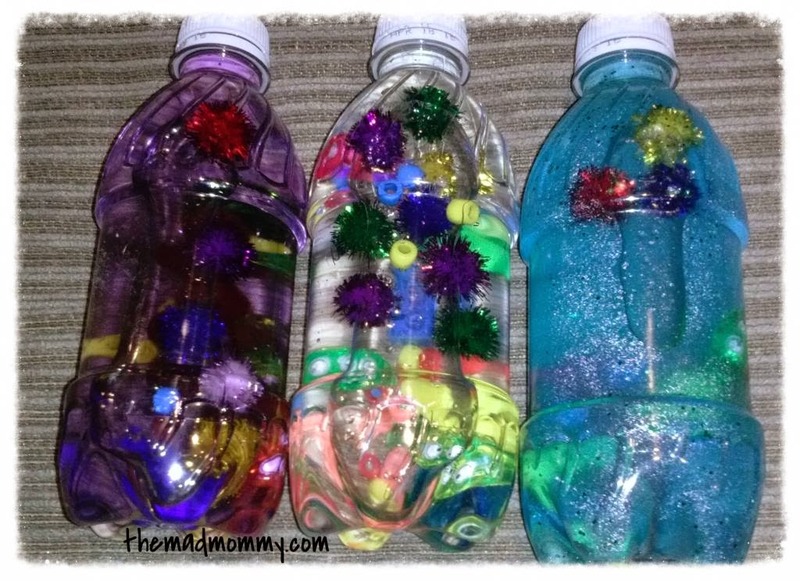 This is such a great idea to turn it into a sensory bottle! I’m sure all children would love to have one. While I was reading about your son using it I was thinking I could use one myself. lol Thanks for sharing with our new Craft Challenge Creative Link Party.